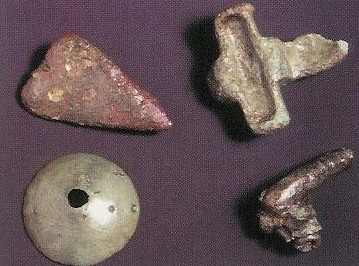 Finds from places like Silchester and Stanwick are revealing evidence the�the Northern Iron Age tribes already had a network of trade and political contacts with Rome at least 50 years before the Romans actually arrived in AD 43. 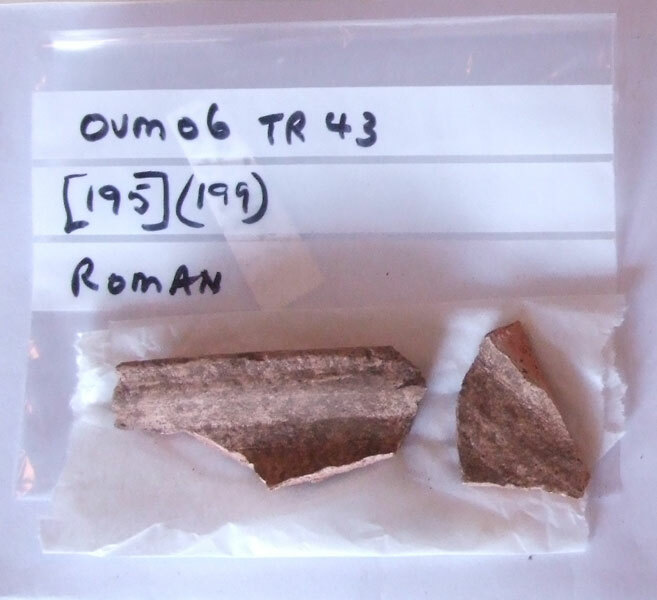 Manufacturing activity discovered in Wilderspool near Warrington, helps to explain how�supplies were obtained locally of all the necessary worked iron, silver, bronze, glass, pottery, bricks and roof tiles required by the Romans. Discoveries at Chester include�a unique elliptical building which seems to have been decorated by the 12 Olympian deities. Such themes�are designed to be symbolic of Roman power and�would support the idea that the North West had strategic significance�in the campaigns against the Welsh and the Scots, in their two pronged forays into Wales and Scotalnd by land and sea. 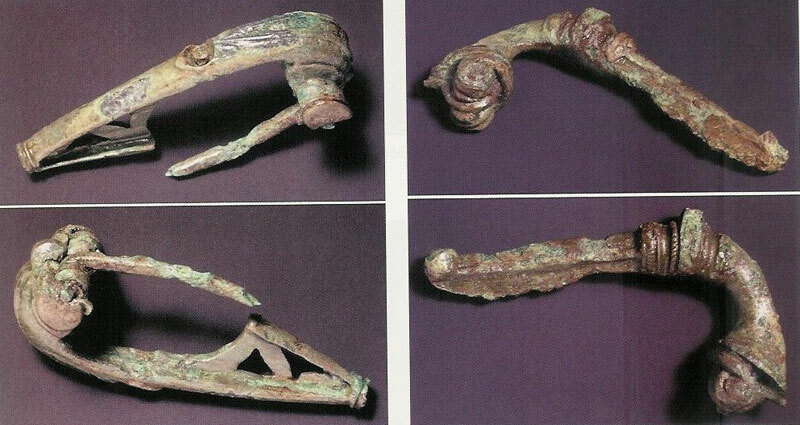 Is revealing evidence lost elsewhere by development and farming. A campaign camp possibly only used for a season or part of a season has been uncovered at Malham Moor where the earthwork rampart and ditch has not been destroyed by ploughing. Carlisle�has proved to have areas with extraordinary preservation qualities where anaerobic layers are sealed by layers of gravel. Dendrochronology used on timbers from these layers are giving the first accurate dates of timbers used in the palisade and buildings. Elsewhere, a waterlogged ditch in a Roman camp at Kirkham has preserved a very rare complete example of a waisted javelin which�were now believed to have been tied together and splayed upright, in threes, to provide a temporary defense equivalent to barbed wire. A reconstructed wooden fort at Coventry has provided further information as it has aged naturally since it was built and demonstrates that the structure would have had a natural life of about 20 years before it needed significant repair and renovation. 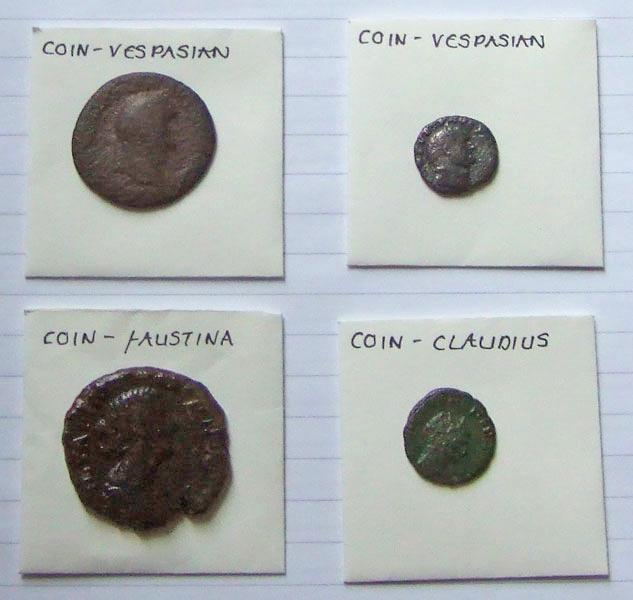 Professor Shotter very kindly examined the four Roman Coins found in and around the site at Mellor and explains what is known about them. A fascinating aspect of this is not only in whose reign�the coins were produced ( giving us a range of possible production dates) but also, using the amount of wear of the surfaces and edges as a guide,�how long they might have been in circulation and when they might have been lost and ended up in the ground.